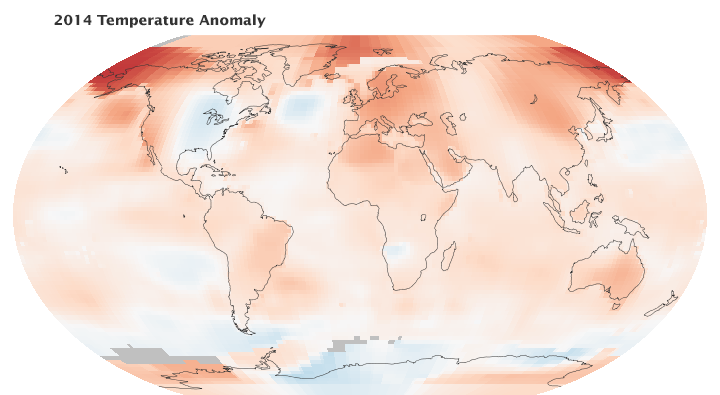 The year 2014 was Earth’s warmest in 134 years of records, according to an analysis of surface temperature measurements by scientists at NASA’s Goddard Institute for Space Studies (GISS). In a separate, independent analysis, scientists at the National Oceanic and Atmospheric Administration (NOAA) also found 2014 to be the warmest on record. With the exception of 1998, the ten warmest years in the instrumental record (dating to 1880) have all occurred since 2000. 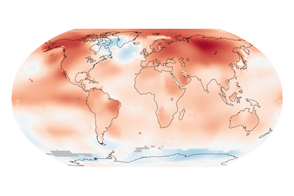 The map above depicts global temperature anomalies in 2014. It does not show absolute temperatures, but instead shows how much warmer or cooler the Earth was compared to a baseline average from 1951 to 1980. 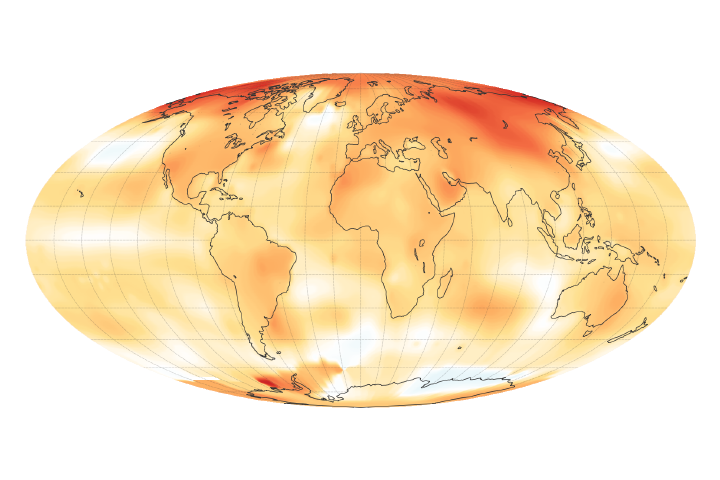 The GISS team assembles its analysis with publicly available data from roughly 6,300 meteorological stations around the world; ship- and buoy-based observations of sea surface temperature; and Antarctic research station measurements. This raw data is analyzed using an algorithm that takes into account the varied spacing of temperature stations around the globe and urban heating effects that could skew the calculation. For more explanation of how the analysis works, read World of Change: Global Temperatures. Since 1880, Earth’s average surface temperature has warmed by about 0.8 degrees Celsius (1.4 degrees Fahrenheit), a trend largely driven by the increase in carbon dioxide and other human emissions into the atmosphere. 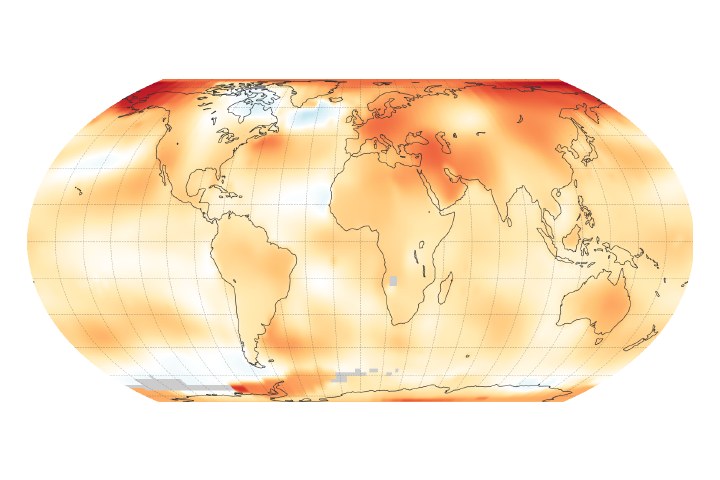 The majority of that warming has occurred in the past three or four decades, which is reflected in the NASA GISS data below. While 2014 temperatures continue the planet’s long-term warming trend, scientists still expect to see year-to-year fluctuations in average temperature caused by phenomena such as El Niño or La Niña. 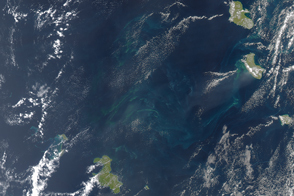 These phenomena warm or cool the tropical Pacific and are thought to have played a role in the flattening of the long-term warming trend over the past 15 years. However, 2014’s record warmth occurred during an El Niño-neutral year. The graph below shows the long-term temperature trends in relation to El Niño or La Niña events, which can skew temperatures warmer or colder in any one year. Orange bars represent global temperature anomalies in El Niño years, with the red line showing the longer trend. 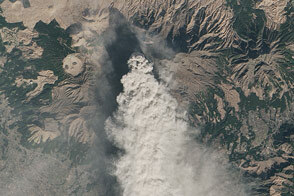 (The classification of years comes from the NOAA Oceanic NiÃ±o Index.) Blue bars depict La Niña years, with a blue line showing the trend. Neutral years are shown in gray, and the black line shows the overall temperature trend since 1950. Regional differences in temperature are more strongly affected by weather dynamics than the global mean. For example, in 2014, the Midwest and East Coast of the United States were unusually cool, while Alaska and three western states—California, Arizona, and Nevada—experienced their warmest years on record, according to NOAA. 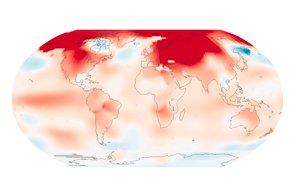 NOAA scientists used much of the same raw temperature data as NASA, but they employ a different baseline period and their own methods to estimate global temperatures. And yet NASA and NOAA—as well as the Japan Meteorological Agency and the Met Office Hadley Centre in the United Kingdom—all come up with very similar records despite different approaches. The line plot below shows yearly temperature anomalies from 1880 to 2014 as recorded by those four institutions. Though there are minor variations from year to year, all four records show peaks and valleys in sync with each other. All show rapid warming in the past few decades, and all show the last decade as the warmest. 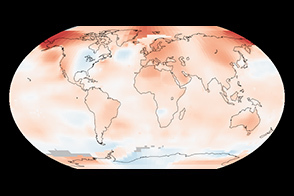 NOAA National Climatic Data Center (2015, January 16) 2014 Earth's warmest year on record; December 2014 record warm; Global oceans also record warm for 2014. Accessed January 16, 2015. 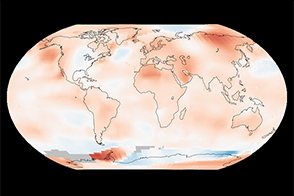 NASA Earth Observatory (2014, January 22) 2013 Continued the Long-Term Warming Trend. 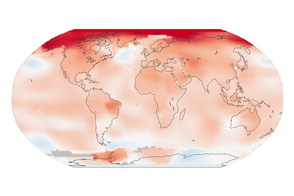 NASA Earth Observatory (2007, November 5) Earth’s Temperature Tracker. NASA images by Kevin Ward, Jesse Allen, and Joshua Stevens, based on data from the NASA Goddard Institute for Space Studies. (Images were built off previous work by Gavin Schmidt and Robert Simmon.) Caption by Patrick Lynch, with Mike Carlowicz. Separate analyses by NASA and NOAA agree that the past year was hotter than any other since 1880. The ten warmest years in the instrumental record, with the exception of 1998, have now occurred since 2000. 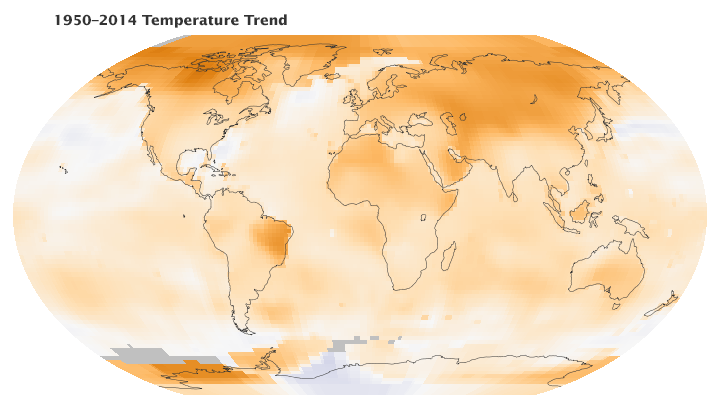 Scientists at NASA report each year on the long-term trend of rising air temperatures over Earth's land and sea surfaces. The team assembles its analysis with publicly available data from roughly 6,300 meteorological stations, ship and buoy-based observations, and Antarctic research stations.